Picture this: you own a small piece of land. Nothing fancy — just a small plot. A group of people shows up, sets up a workshop in your shed, and within five days, using materials available at your local hardware store or made from the raw resources of your land, builds you a small starter house kitted out with state-of-the-art eco features for less than $25,000. Sound crazy? 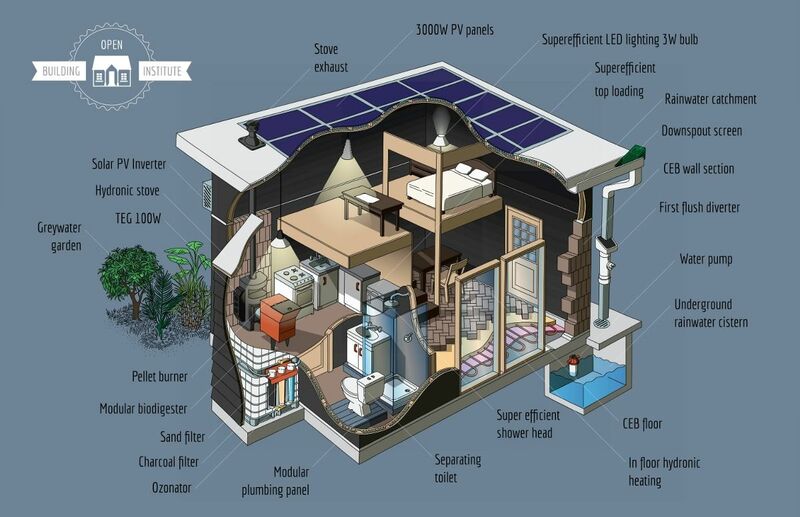 Well, open source advocate and maker Catarina Mota and inventor Marcin Jakubowski (see their TED Talks, “Play with smart materials” and “Open-sourced blueprints for civilization,” respectively), are making the dream of accessible, affordable eco-housing come true with their Open Building Institute Eco-Building Toolkit. They’ve already built several prototypes and tested the concept through a series of educational builds.